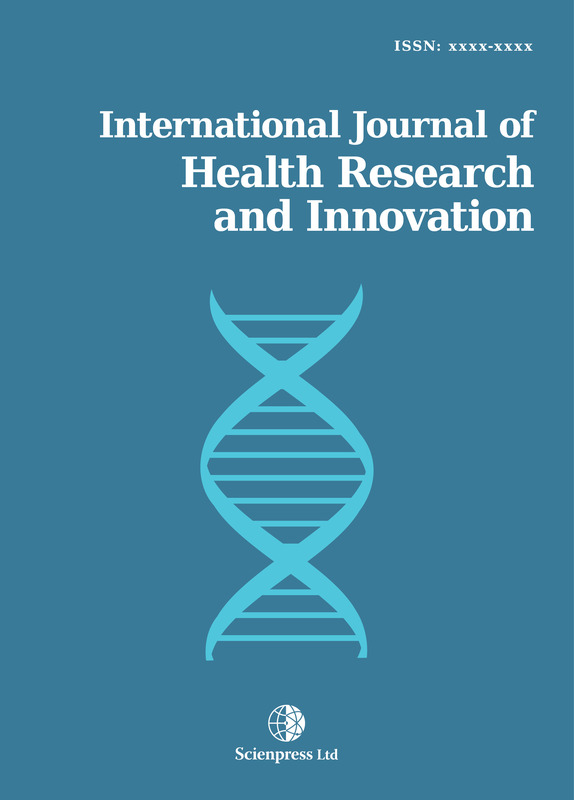 The International Journal of Health Research and Innovation (IJHRI) is a referred journal devoted to the publication of original research papers and reviews articles in all aspects of the Health Research and Innovation. Health research is multidimensional and can be categorized by the field of research, such as biomedical, clinical, health services, population and public health. Research in the social sciences, environmental protection, biological science and technology, various branches of engineering, nanotechnology, agriculture and food, information and communications technologies (ICT) and other areas can also be characterized as health research to the extent that they have health-related applications. Health research and innovation is a tool that can produce the knowledge needed to develop new diagnostics, therapies and technologies, as well as improvements in health care, policy making, system development and service integration. As well, the needs and priorities of the health system create demand for the knowledge, products and services produced by health research and innovation. These close links will enhance the health system, create economic development opportunities and improve health outcomes. 1. Technology Integration: This theme encompasses research into the development and subsequent integration of appropriate technologies into the clinical practice setting to enhance work flow and processes of care. 2. Data, Information, and Knowledge Flow: This theme includes research into methods for enhancing the flow of health data and information from source to user, and also improving its synchronization and prioritization. 3. Communication and Interaction: This theme encompasses research into the essential process of communication among players in the world health care arena, with attention to the complexity of this process, and the development of processes and tools that enhance communication. 4. Organizational and Regulatory Factors: This theme includes research into the organizational and regulatory factors that influence quality of care and patient safety.